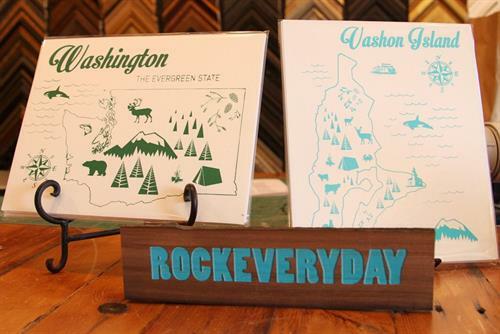 Hinge Gallery offers unique custom framing, art gallery, letterpress cards, prints, posters, art books, and more! 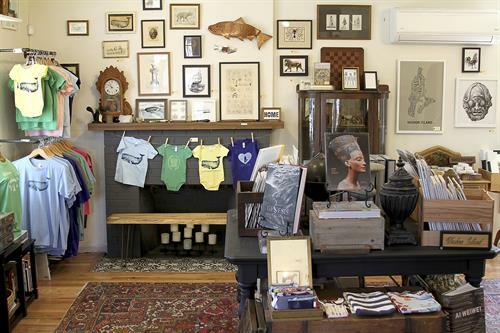 Art Gallery, Frame Shop, Letterpress Cards, Art Studio, and more! 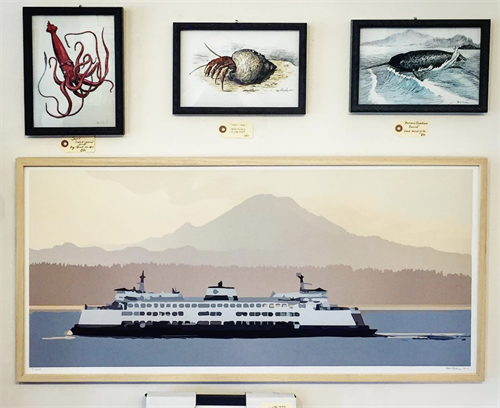 We carry a selection of prints, posters, handmade rarities, art books, and vintage items - all from the old world setting of a cozy shop in the heart of Vashon Island's commercial center. 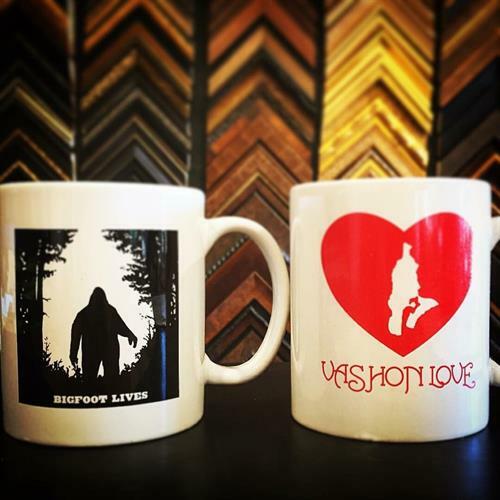 Additionally we offer unique custom picture framing with over sixteen years experience designing the perfect framing for each project and budget. We work with over thirteen moulding vendors to bring our customers one of the largest moulding selections in the Pacific Northwest. We invite you to stop by any time for a free, no pressure design consultation. 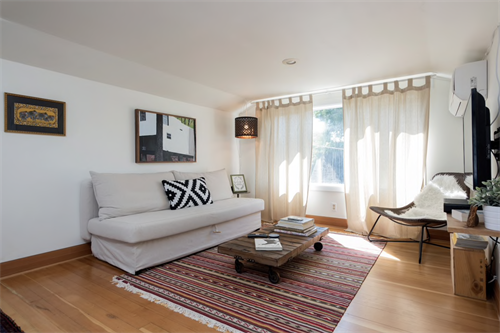 Hinge Gallery is the collaboration of husband and wife team, Brent and Holly Houston. Brent is a master framer and Art Institute of Chicago trained painter with over 16 years experience in the framing industry. Brent approaches each project with care and collaboration. Holly Houston has over 9 years experience as a Gallerist and fine art curator. Holly believes art is essential to a happy life and that you don't need a big budget to own quality art work and support artists in the process! 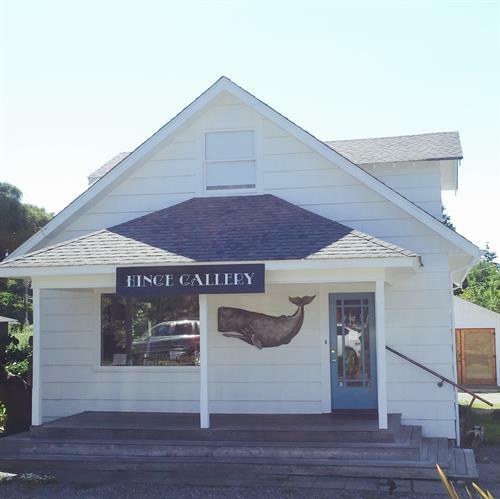 Brent and Holly built Hinge Gallery together - combining their artistic skills, on Vashon Island, Washington where the two live with their kitty Finn. Located on the West side of Vashon Hwy. Just South of the 4 way stop at Vashon Hwy and Bank Road.